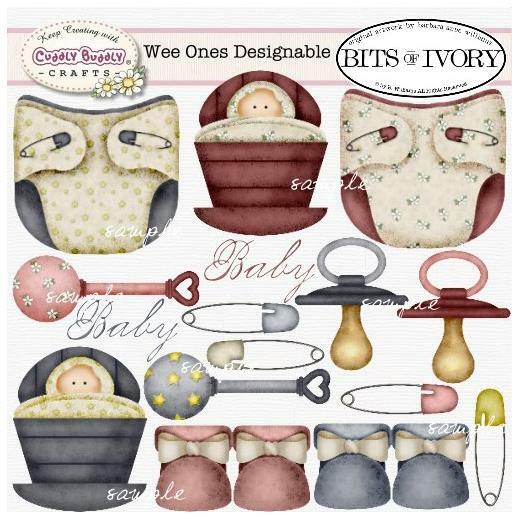 Wee Ones is a collection of delightful baby images from rattles and binkies to diapers and pins. Perfect for all of your print projects from scrapbooking to baby showers, new baby gifts and more. All images are in 300 dpi PNG format for excellent print quality.